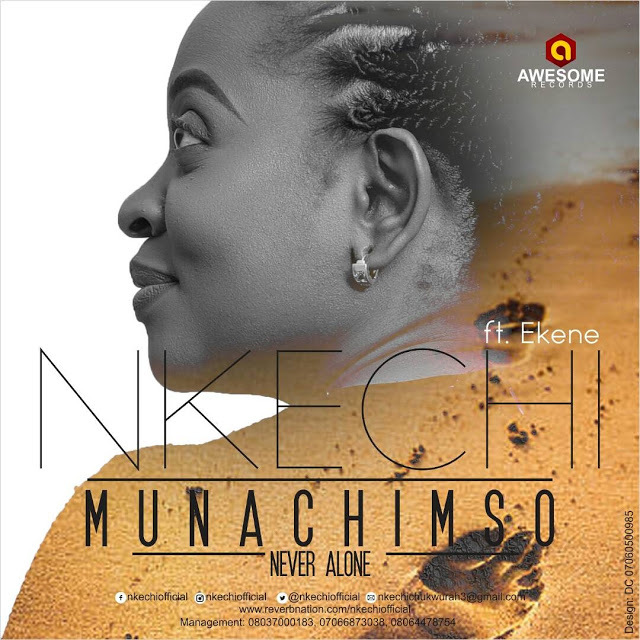 After the release of her first studio album in 2016, music minister – Nkechi and one time Music Director of the Winners’ Voice Asaba aka Living Faith Church Asaba, Nigeria premieres her new single – ‘Munachimso‘ (Never Alone) featuring Ekene John. The single – ‘Munachimso’ can best be described as Nkechi’s song of reverence and thanksgiving to the King 0f Kings for His unconditional love, peace and mercies that are new every morning. Nkechi is a Masters Degree holder in Business Administration, a worship leader, hospitable ministrel and above all lover of God and His people. Her dream is to be and remain a blessing to God’s people, preach the Gospel through songs and bring better understanding to worship in the heart of men globally.